(Jan. 2, 2018) – World Taekwondo continued to provide anti-doping education for its athletes and coaches at the Grand Prix Final and World Taekwondo Team Championships in Abidjan, Cote d’Ivoire. 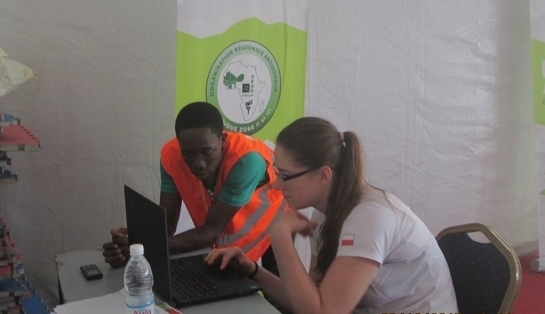 The anti-doping education outreach programme was held throughout the competitions in Abidjan with the cooperation of Committee National fight anti-doping of Ivory Coast and was the first time such an initiative has been held in Africa. A total of 60 athletes, coaches and fans visited the stand which was set up close to the athletes’ warm up room and provided more information about anti-doping. Fun and interactive quizzes were held with winners receiving pens and t-shirts. The main target groups were elite athletes and team competition athletes. The anti-doping education outreach program was the latest to be held by World Taekwondo following similar programs during World Para Taekwondo Championships in London, UK in October 2017. World Taekwondo has a zero tolerance policy on doping and believes that anti-doping education is vital in order to combat the issue. 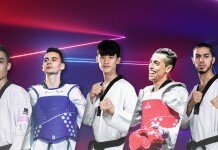 Since 2016, World Taekwondo has held anti-doping education programs for junior athletes with the first program held during the World Taekwondo Junior Championships in Burnaby, Canada and then followed at the World Taekwondo Championships in Muju, and World Taekwondo Cadet Championships in Sharm El Sheikh, Egypt. Next articleGrand Slam Preview_M-68kg: Can Anyone Take Out Dae-hoon Lee?